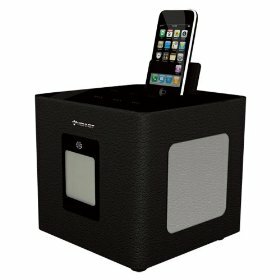 iLuv iMM747 Audio Cube Hi-Fidelity Speaker Dock: a powerful dock that syncs, plays, and charges your iPhone 4 and iPad. 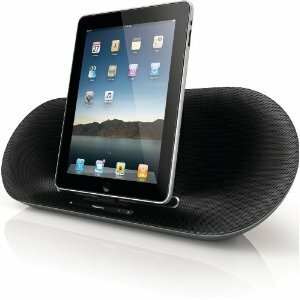 It takes advantage of jAura Echo Soundcell Technology to bring you a better music experience using your tablet. It has a flexible connector too. 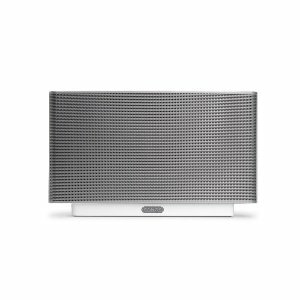 Philips Fidelio DS8550 Speaker System: not a cheap speaker by any means. 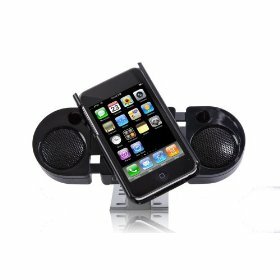 You can pair it with your iPad using Bluetooth, which is a big plus. It has a built-in battery, making it even more portable. 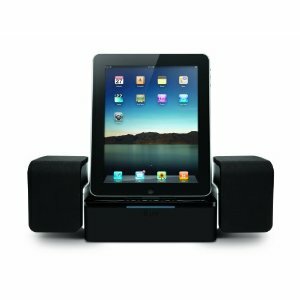 iDesign Portable Speaker for iPad: a portable, more affordable iPad speaker designed for those of you who plan to travel with it. 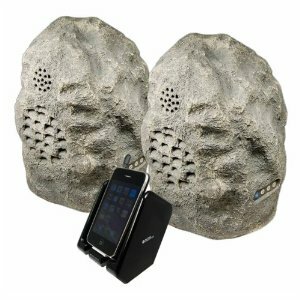 You can go cordless with 4 AA batteries. It charges your device when docked. 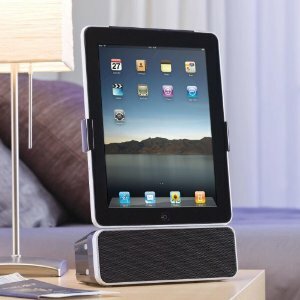 What’s your favorite iPad speaker?